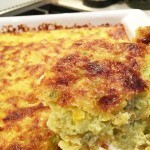 Seriously delicious Spicy Corn Pudding! 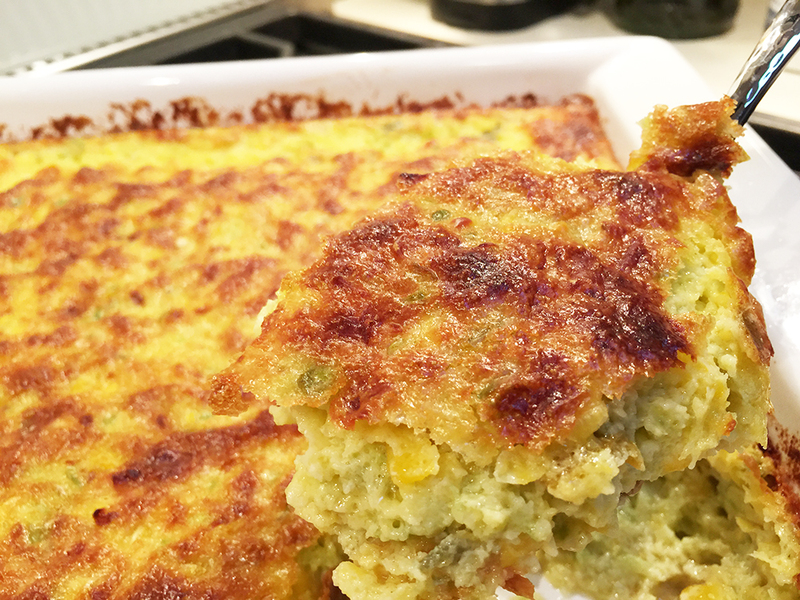 First introduced to Spicy Corn Pudding at a dinner party, we could have honestly devoured the entire tray. Outrageously delicious, sweet and spicy, this corn pudding resembles a souffle. 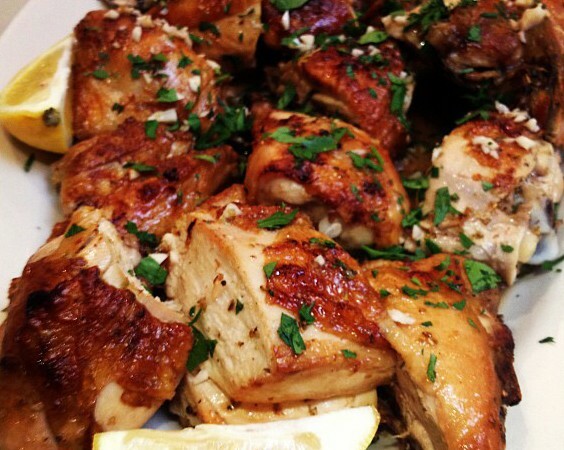 The recipe originates from ”Anna Pump’s cookbook, “Country Weekend Entertaining”. 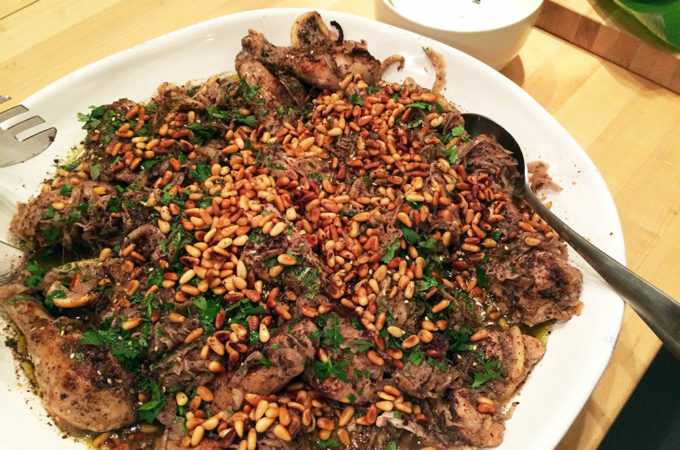 Her lovely cookbook features a wonderful collection of recipes for seasonal entertaining from Loaves and Fishes, the distinguished catering and prepared-food establishment in Sagaponack, Long Island, and The Bridgehampton Inn. 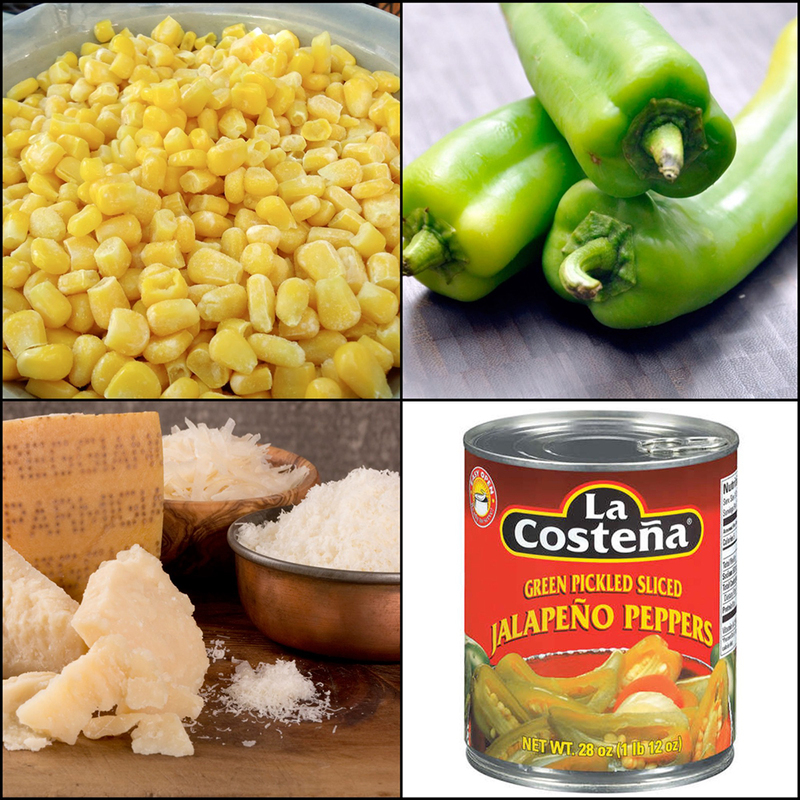 I modified it a bit with the addition of more Jalapeno because, why not and some finely grated Parmiggiano-Reggiano to add a nutty component. The recipe is super easy and if you enjoy (organic-non GMO) corn as much as we do, you will love this spicy pudding. 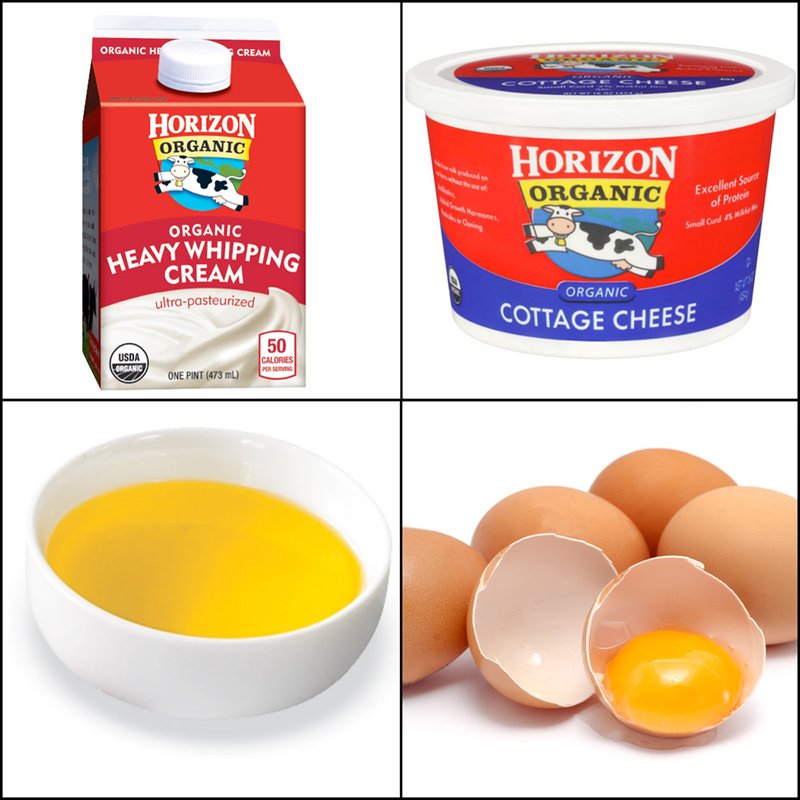 Below is a visual list of ingredients and the recipe. We could honestly devour the entire tray of this outrageously delicious, sweet and spicy corn pudding (that resembles a souffle). For a more elegant presentation you can bake in individual souffle dishes. It freezes very well for a quick side dish anytime. Preheat oven to 375. Butter a two-quart casserole. In the bowl of food processor, purée the jalapenos and Anaheim peppers. Add the corn and pulse five times. Scrape the mixture into a bowl, add eggs, and beat well to blend. Add cottage cheese, heavy cream, butter and Parmigiano Reggiano, stir well. 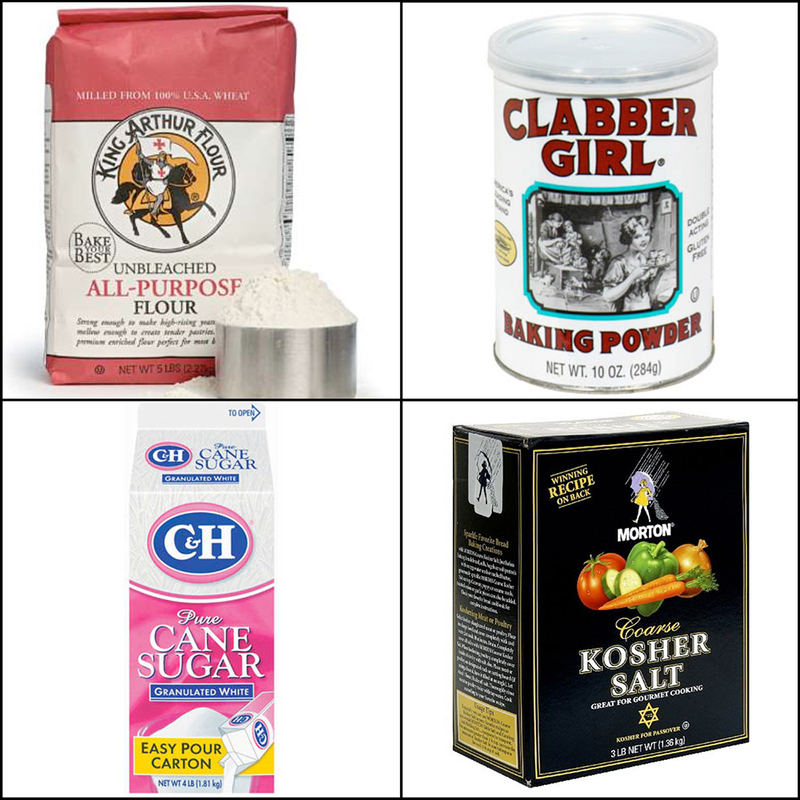 Add the flour, baking powder, sugar, and salt. Mix until the dry and wet ingredients are well combined. Spoon the mixture into the casserole and bake for 30-45 minutes, or until pudding is set.